WELCOME TO ABSOLUTE ALARMS MERSEYSIDE. AS FROM JUNE 30th 2011, WE HAVE EXTENDED OUR GUARANTEE, ON ALL NEW AND FULL DOMESTIC INSTALLATIONS, FROM 12 MONTHS TO 24 MONTHS. GIVING YOU PEACE OF MIND. Buying electronic security to secure your premises is a very important decision, whether for domestic or commercial premises. It is essential that the products you choose give's the protection you want. It is equally important that the quality of the installation work, and the ongoing service you receive from the installation company, meets industry standards. 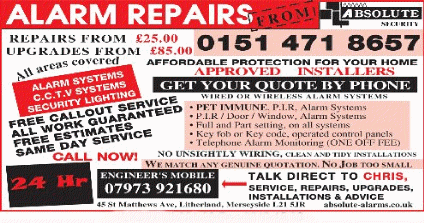 At ABSOLUTE Alarms Liverpool, we will give you the support you require. You can contact us at any time, we operate a 24 Hr service. call Chris for advice. 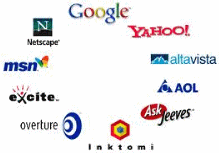 WE WILL MATCH OR EVEN BEAT ANY GENUINE QUOTATION. WE REPAIR, SERVICE, ANY MAKE ALARM, REGARDLESS OF IT'S AGE OR CONDITION. We provide a 24 Hr call out service. This one time security system will give you all you require to protect your home or office. a fully functional CCTV system, with 2 security cameras. All systems are installed to a high standard, we leave your property clean and tidy after installing a system. We only use Class 2 / 3 Wireless Alarm systems. go to wireless alarms section, on this website. We understand the concept of value for money, and we value your safety. Our professionals will keep your alarm system and CCTV, in top working condition. Our services are affordable and we never compromise on quality. Your alarm system keeps you safe and secure, and keeping it maintained correctly is important to us. Please give us a call on 0151 476 2421 and let us handle your worries. JUST A FEW WAYS YOU CAN CONTACT US AT ABSOLUTE ALARMS Merseyside. If we can't fix it we charge you nothing! That's right, we either repair your system on site or we charge you absolutely nothing. You can rest assured that the price we give you, is the price you pay always, with no hidden extras. Our Engineers are highly experienced in the field of Installation. We install Domestic as well as Commercial Security Systems and we can design a system to work around you and your busy lifestyle. 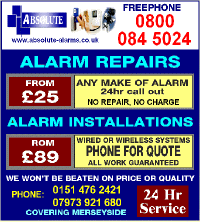 Absolute Alarms Merseyside offers dependable alarm systems and CCTV. 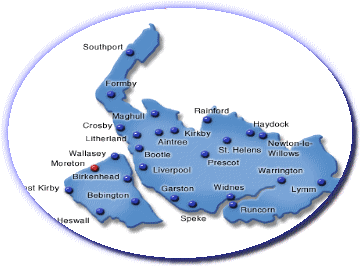 You want security then Absolute Alarms Merseyside, can provide it for you. 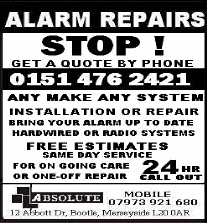 With the proper alarm system, Absolute Alarms Merseyside, can keep your home or work safe and secure. Chris Saphier from Liverpool, started Absolute Security over fifteen years ago and since then has taken the company into the millennium by offering a superb service and after care to his customers. Chris Saphier is a highly experienced Intruder Alarm/ CCTV engineer with many years experience in this field, his professionalism and dedication has allowed him to progress into the ever progressing field of Security Installation. Our Engineers are highly experienced in the field of Installation. Absolute install Domestic as well as Commercial Security Systems and we can design a system to work around you and your busy lifestyle. Absolute Alarms Merseyside, install only the finest UK equipment to British Standards. Our systems use the latest technology to create a safe zone within your property safeguarding you, your family and you possessions. Area Leads to the information you are looking for.